We provide private Mandarin lessons, exclusive group lessons, Business Chinese, IB Chinese, and HSK test preparation courses in Shenzhen. With our professionally trained Chinese teachers and unique methodology you will get quicker learning results. Where can I learn Mandarin faster in Shenzhen? And how can I find the best Mandarin teachers in Shenzhen? You do not need to waste time to search for the best Mandarin teachers or Chinese courses. 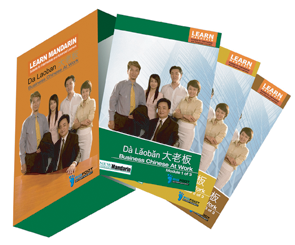 We have the perfect solution for those looking to learn Chinese in Shenzhen. 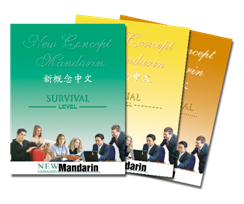 New Concept Mandarin was invited from Hong Kong to provide Mandarin lessons for foreign staff of BP, Shell and other oil companies in Shenzhen as early as 2001. We set up our first Mandarin Immersion Center as early 2004. Since then we have trained over 10,000 students from over 500 international companies including Adidas, BP, Citigroup Global Markets Asia Ltd., CSPC Nanhai Petrochemical Complex, Emerson Appliance Solutions, Fuji Xerox of Shenzhen, Holiday Inn, Huawei Techno, IBM, Maersk, PHILIPS, Schlumberger China, Siemens, Swatch Group, Wal-Mart, and many others. 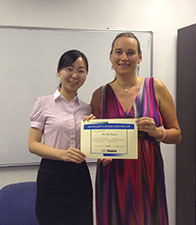 In Shenzhen we currently provide private or small group Mandarin lessons in the student’s home, office or online. Mandarin Immersion Program allows you to immerse yourself in real life experiences that require you to utilize and develop your communication skills through authentic daily practice and activities. It helps you achieve fluency in the shortest possible time. Different from a traditional classroom, in this program you learn to manage daily communication in Chinese like you would in the real world. In Shenzhen we only offer Mandarin Immersion in your own locations. What Do Our Shenzhen Clients Say? We are very proud to share with what our clients say about our Chinese Courses. More than 80% of our clients have renewed their Mandarin courses to a more advanced level because of the satisfaction they have from our Mandarin training service. They also refer many friends who wish to learn Chinese in Shenzhen to us. Customer satisfaction is our focus. Living in China is nice but when you can communicate with the local people it is even nicer! It makes your life so much easier. Therefore, I decided to learn Chinese. Anny is a very good teacher. She has a lot of patience and her lessons are fun as well. She is very professional and always give you the confidence that you can do it! Now, after about 1,5 years, I can speak more and more Chinese and I can read already a lot of characters. I feel so much more confident. Learning Chinese takes a lot of effort and time but it is worth it. I never have thought that I was able to do this but thanks to Anny I can do it. 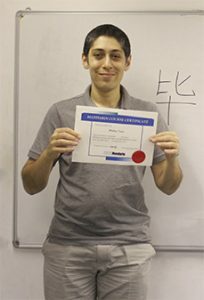 I really recommend NCM to all foreigners who want to learn Chinese. Thank you Anny! You’re a great teacher! I really appreciate your patience and your hard work. Hello! My name is Victoria! I’m from Russia and Chinese language is my 4th language! I’ve been studying Chinese in New Concept Mandarin Shenzhen Center for two month. My Chinese teacher is Ashley. She is a nice teacher, funny and friendly. Just in three weeks, I could already speak Chinese with local people on the street! All Chinese can understand me! How great it is when you can explain what you want, take a taxi and ask direction in Mandarin! I’m going to keep studying till the advanced level. Last Thursday, I finished my first Chinese Course (Survival Mandarin I).I would like to write you this letter with the aim to provide a short feedback related to the Mandarin courses that I continue to take and also about my teacher Miss Liu. First of all, I would like to state that I highly appreciate the Chinese teaching method used by New Concept Mandarin. The friendly atmosphere of NCM (Shenzhen SHEKOU) makes these courses enjoyable and it attracts students to your company. However, from my viewpoint, the teacher has a crucial role. We (Philippe and I) were lucky (and I still am) to have a teacher like Miss Liu xianqin. She is really patient, friendly and she masters her work and she shows that she really cares for her job. She explains the meaning and the reason of words providing some sense making examples and some nice anecdotes that encourage us to work and make it really a fun learning. After a long working day, it is really joyful to learn Mandarin with her. To finish, from my side and also on behalf of my colleague Phillippe, I would like to thank you and especially thank Ashley for her good work. I would really recommend your company to friends and colleagues and for sure I will highly recommend Miss Liu.